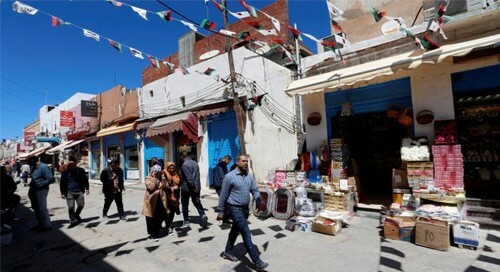 New York, April 8 (IANS) At least 2,800 people have fled rising violence in Libya's capital Tripoli, the UN said on Monday after international powers began evacuating personnel from the country amid the worsening security situation. The UN-backed government in Libya said 32 of its fighters were killed in the fighting, the BBC reported. Tensions in the country have risen since rogue Libyan military commander, Gen. Khalifa Haftar, ordered his forces to attack the government in Tripoli last week. Gen. Haftar's Libyan National Army is seeking to take over from the internationally recognized Government of National Accord (GNA). Prime Minister Fayez al-Serraj has accused Gen. Haftar of attempting a coup and says rebels will be met with force. The UN said several civilians were trapped by the clashes and cut off from vital emergency services. It had earlier appealed for a two-hour truce so casualties and civilians could be evacuated, but fighting continued. "This unilateral military campaign against Tripoli is endangering civilians and undermining prospects for a better future for all Libyans," said US Secretary of State Mike Pompeo. America's top commander for Africa said the US had pulled a contingent of its troops from Libya. "The security realities on the ground in Libya are growing increasingly complex and unpredictable," said Marine Corps Gen. Thomas Waldhauser, head of US Africa Command. "Even with an adjustment of the force, we will continue to remain agile in support of existing US strategy." He said the repositioning was in response to security concerns. The Italian multinational oil and gas company Eni also decided to evacuate all its Italian personnel from the country, reports say. The UN said its call for a humanitarian truce had been ignored and emergency services said they had not been able to enter the areas where fighting was taking place. It was also due to pull out non-essential staff. The country has been torn by violence and political instability since long-time ruler Muammar Gaddafi was deposed and killed in 2011. UN-backed talks aimed at drawing up a road map for new elections have been scheduled for April 14-16 in the city of Ghadames. UN envoy Ghassan Salame insisted the talks would go ahead, unless serious obstacles prevented it, saying "we won't give up this political work quickly".